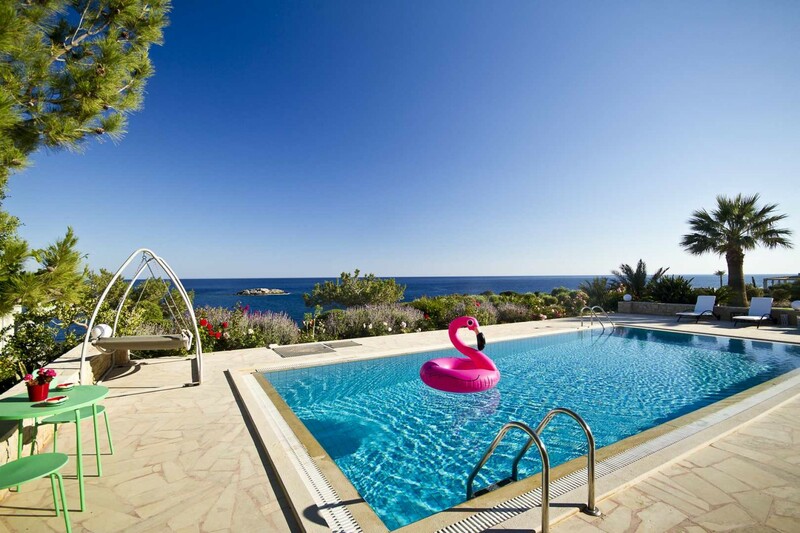 Welcome to Villa Ludisia, our luxury 5 bedroom villa located on the stunning island of Crete. 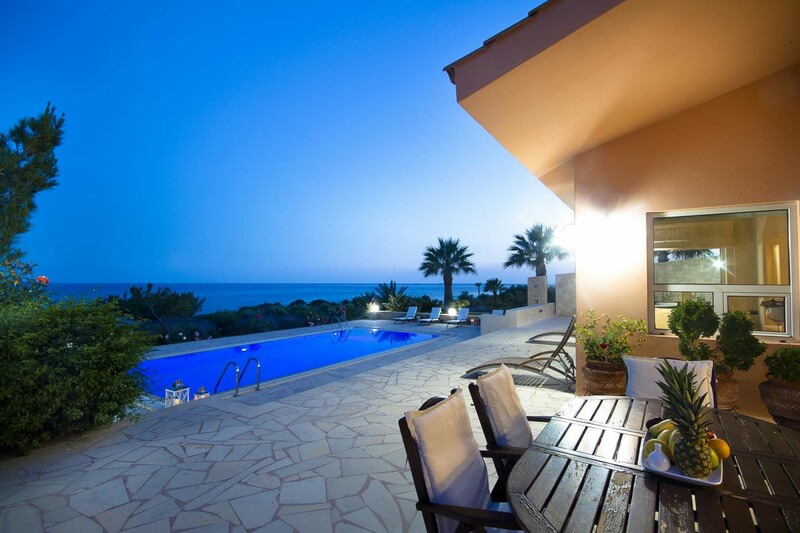 Enjoy the summer magic in the luxury Crete villa Ludisia, only 10 km from the famous Ierapetra. 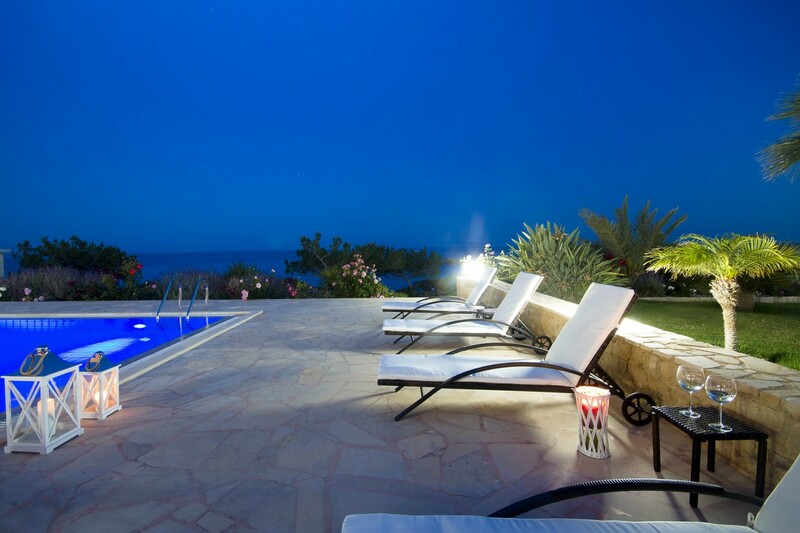 It’s the perfect choice for those seeking to get away from the crowds as it offers seclusion while providing numerous recreational facilities including a swimming pool, gym room, tennis court, and even private access via stone steps to its own beach! 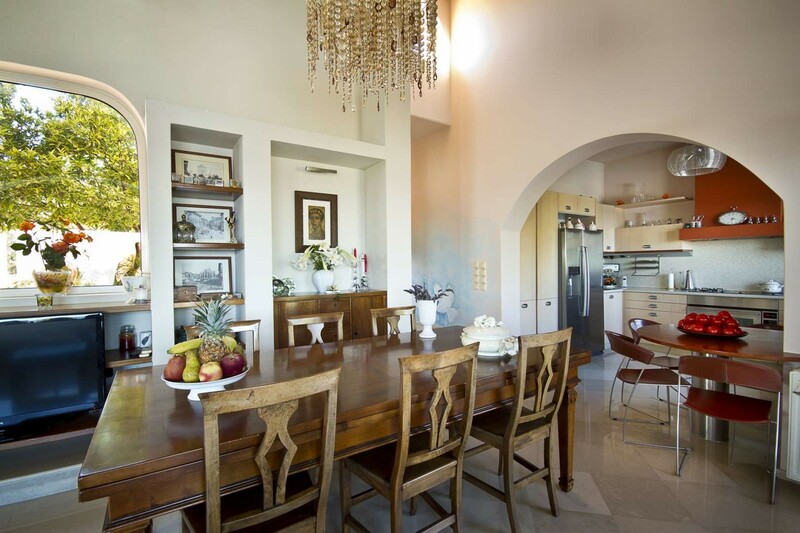 Villa Ludisia offers 4 bedrooms with en-suite bathrooms and a separate 50 sqm. 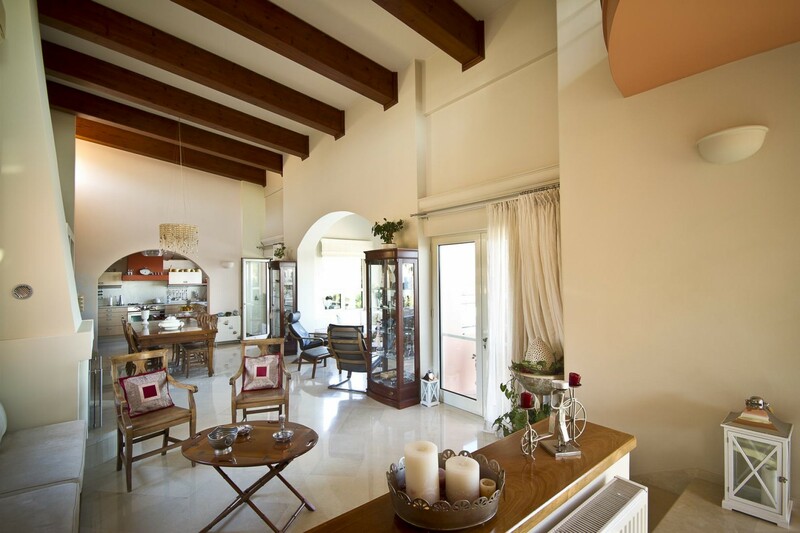 apartment on the lower ground level, making the premises ideal for a group of 8 to 10 guests. 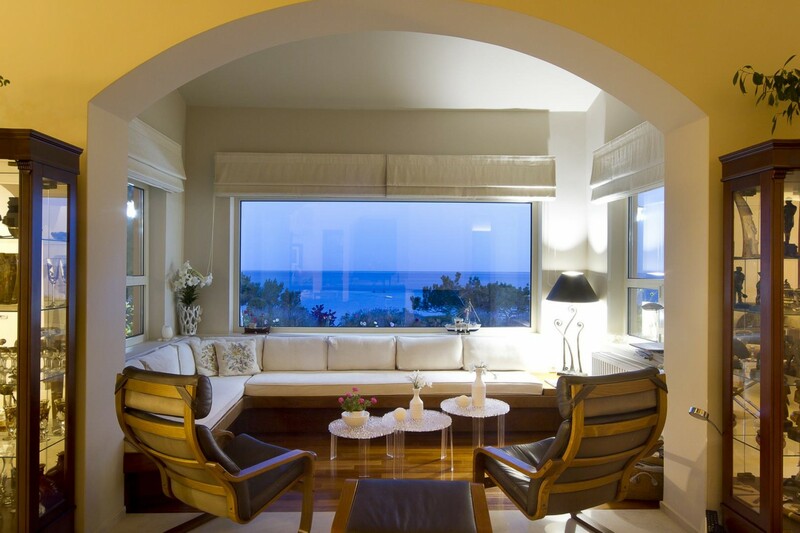 It is about 100 km from Heraklion port and airport, and the tranquil setting is suited to family relaxation or retreats. About 4 km away, several restaurants, bars and shops can be found as well as the popular Agia Fotia beach. 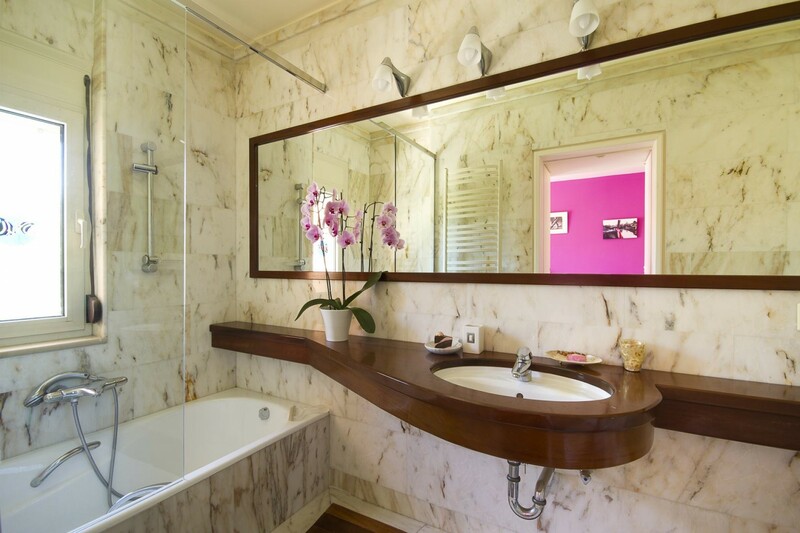 Ludisia is a villa that has been put together with love and care by its owners, from the ornaments in the nooks and crannies of the house to the colour of the walls. 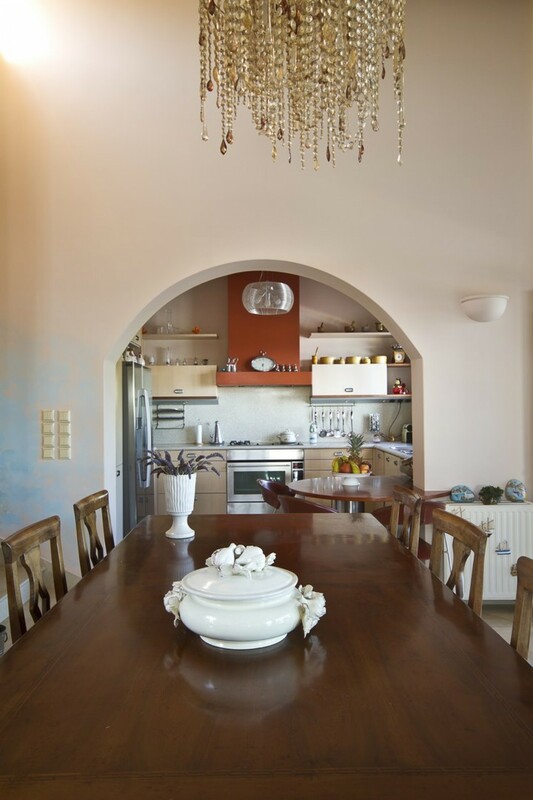 It is elegant but homey, equipped with all the modern amenities like satellite TV, Wi-Fi, a computer and working desk to make sure you don’t miss anything. 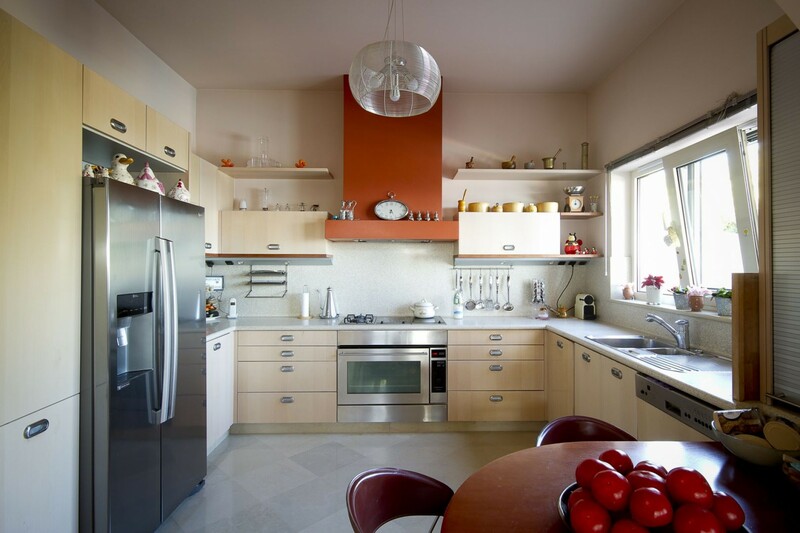 It’s bright sun-lit interior is guaranteed to lift your spirits whichever room you’re in! 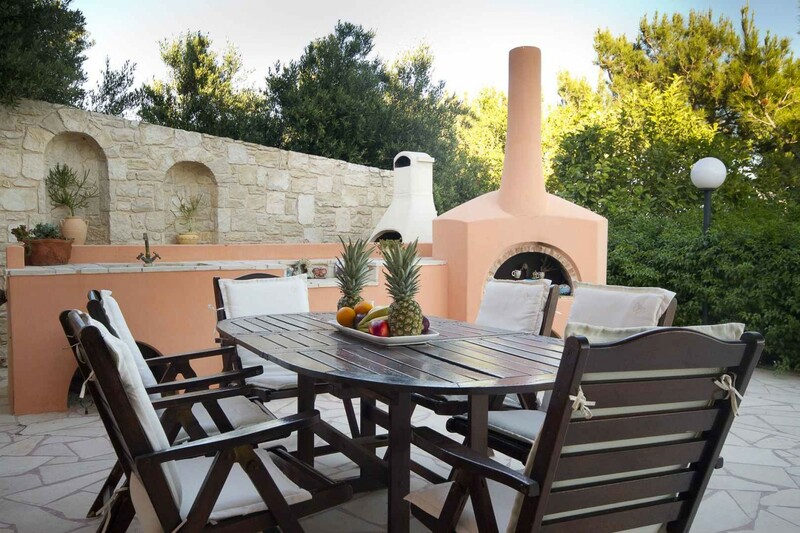 Outdoors, there is a huge stone terrace with a pool, barbeque facilities, sun loungers -even a swinging sunbed – and 3 separate sitting areas with garden furniture, all show the attention to detail that gives Ludisia its special character. The immaculately-tended lawns, colourful flower beds and palm trees create a “garden of Eden” effect, giving you your own paradise from which to view the Mediterranean!